Earlier in March, Under Armour held a conference for their “Undeniable” program where top football programs around the country are recognized. 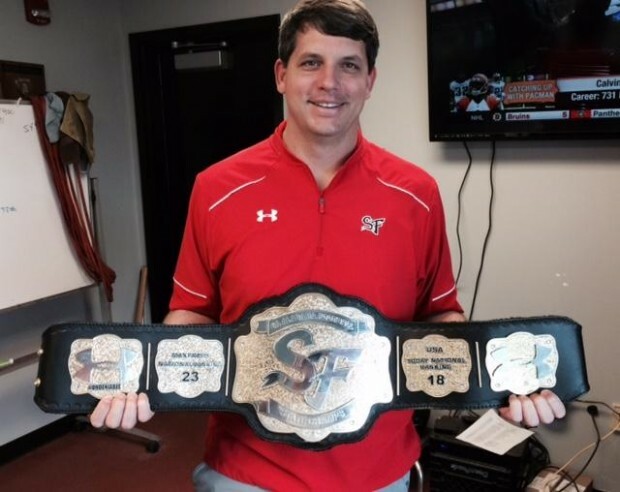 Ben Blackmon, Spanish Fort Toros football coach, was presented a championship belt for the 2015 season in recognition of his team who went undefeated (15-0) and won the Class 6A state title. The belt was designed specifically for the Spanish Fort Toros and features a center plate with their “SF” logo etched beautifully into the gold metal. 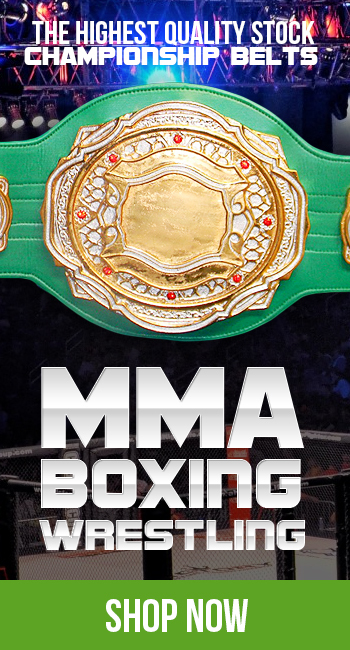 The belt features four side plates with two listing the Toros national rankings, No. 23 (by MaxPreps) and No. 18 (by USA Today) and the remaining side plates proudly wearing the Under Armour logo. Blackmon is proud to display the ProAmBelts fully customized championship belt. “It’s a true championship belt for display,” Blackmon said. “The kids loved it. We use it right now as a prize for our weight room work. If you win your competition, you get to take a picture with it,” he continued. The ProAmBelts team is proud to be apart of the recognition Ben Blackmon and his Spanish Fort Toros football team have received at the national level.